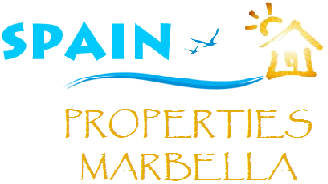 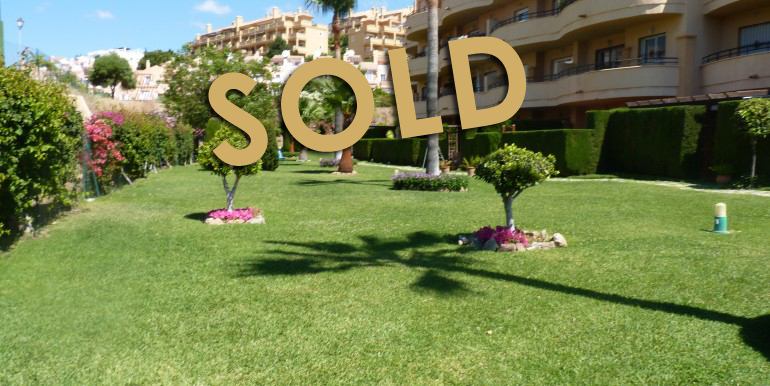 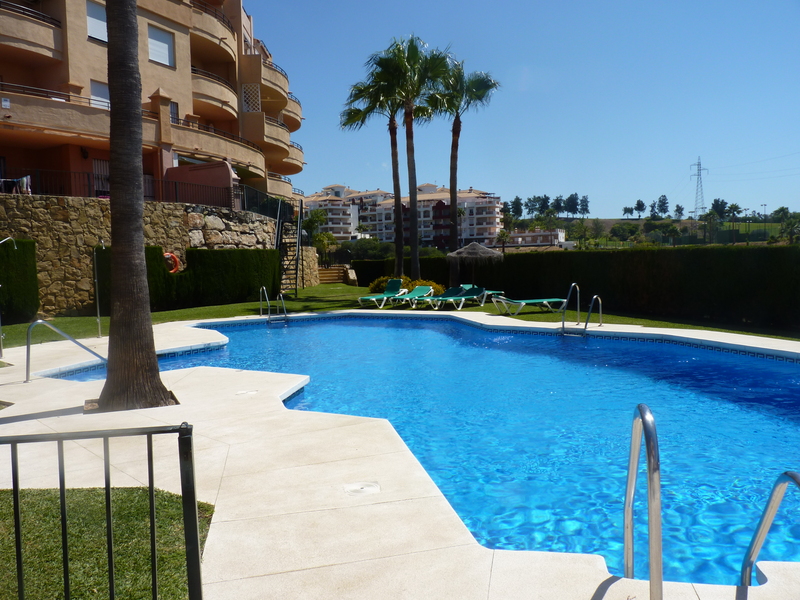 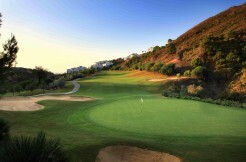 We are delighted to offer this beautiful front line golf apartment sold as ready to move in. 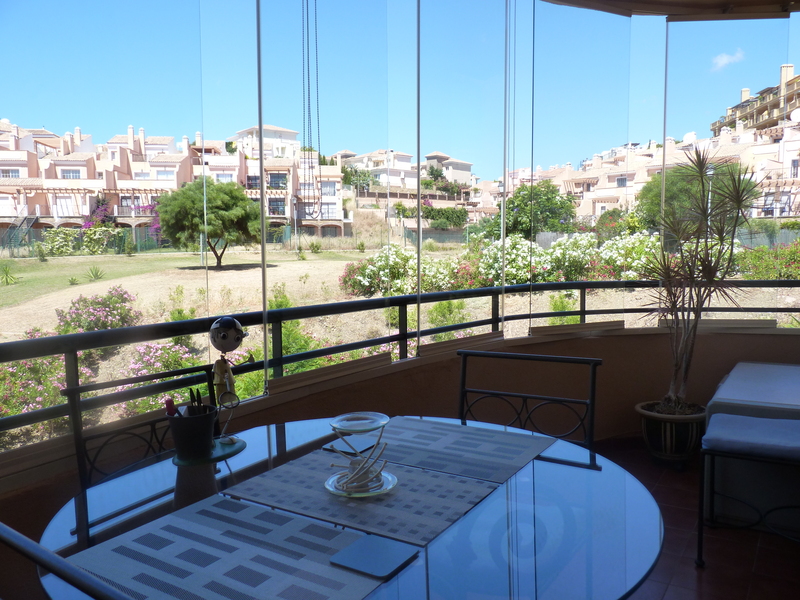 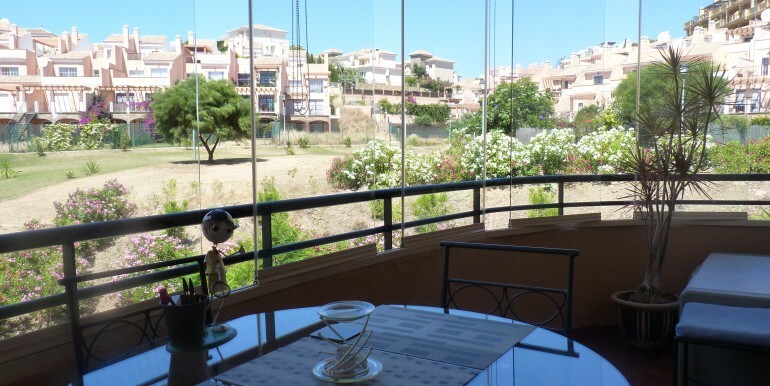 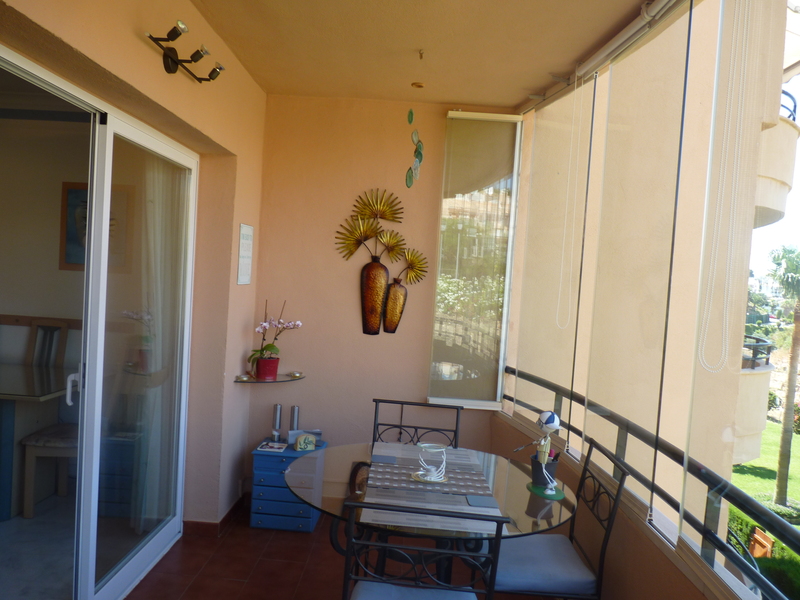 Its location, overlooking the 5th fairway of the Miraflores Golf Club and Academy means that not only will you have a relaxing peaceful view during those lazy afternoons, but it will also offer the investors out there a year round rental return. 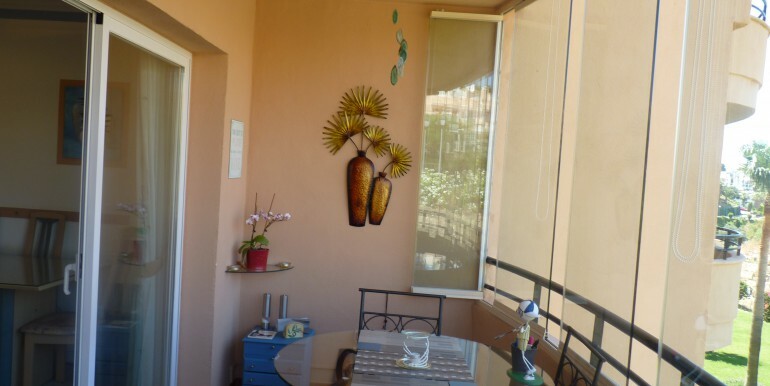 The apartment is very well laid out and in immaculate condition with many personal touches that other units in the complex simply can’t offer. 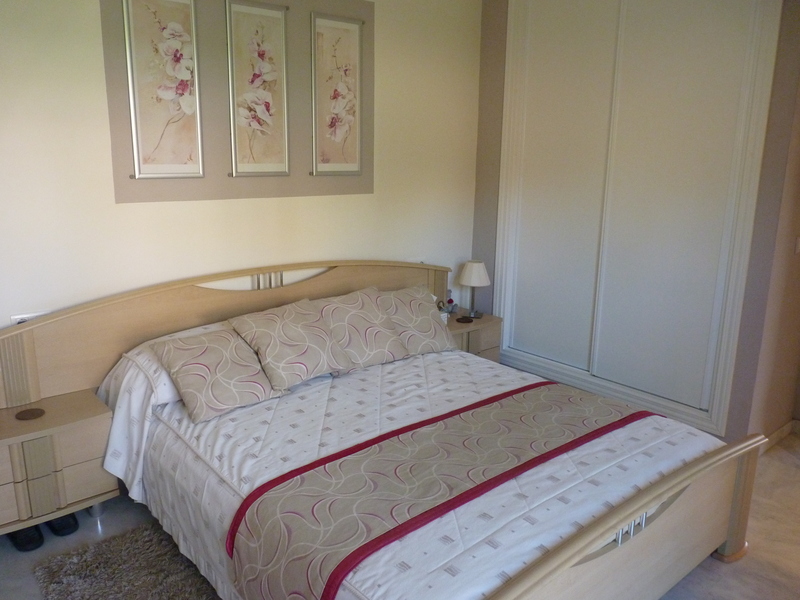 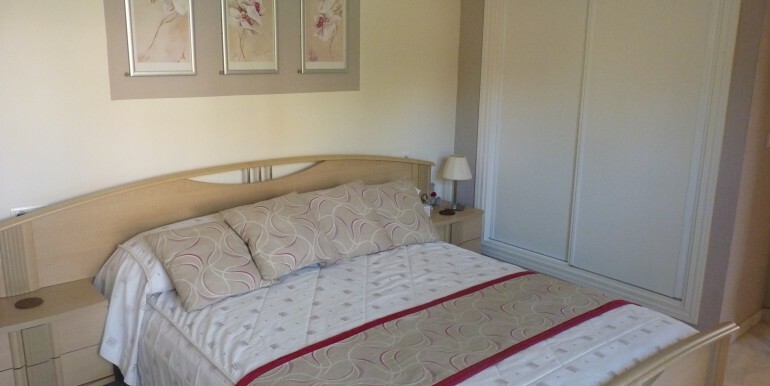 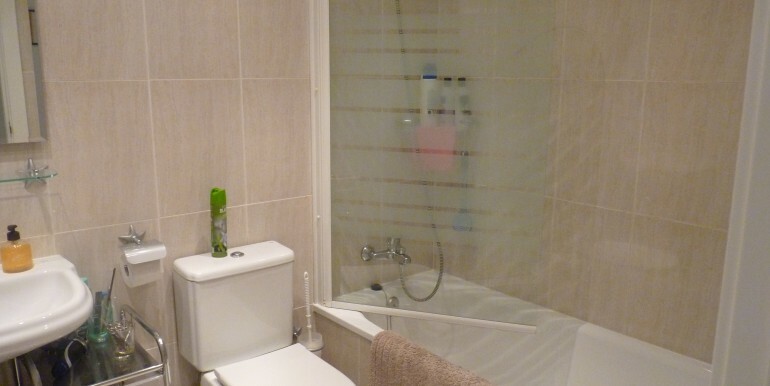 The spacious double bedrooms both have fitted wardrobes and en-suite bathrooms. 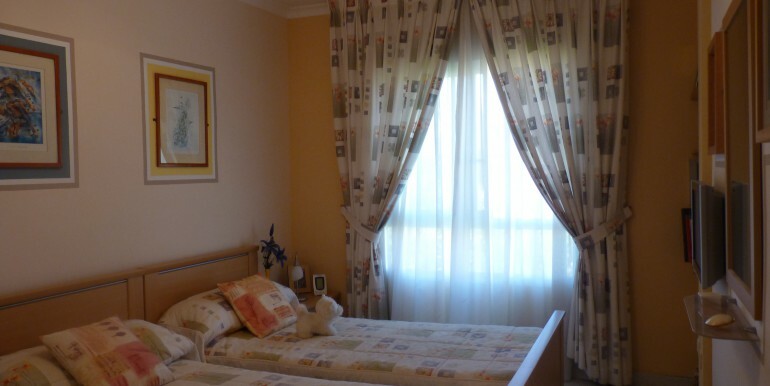 The master bedroom has its own shady , private terrace overlooking manicured gardens. 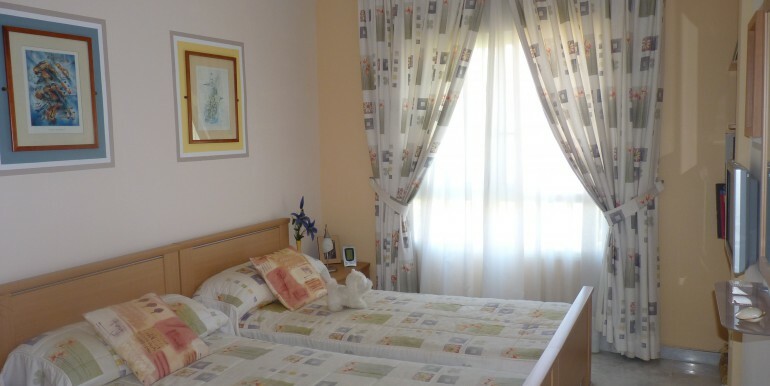 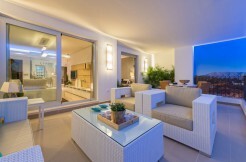 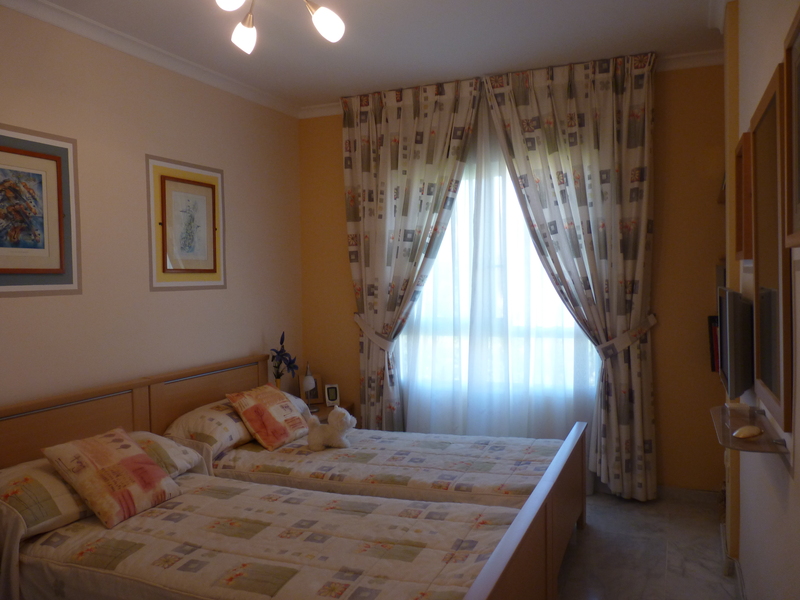 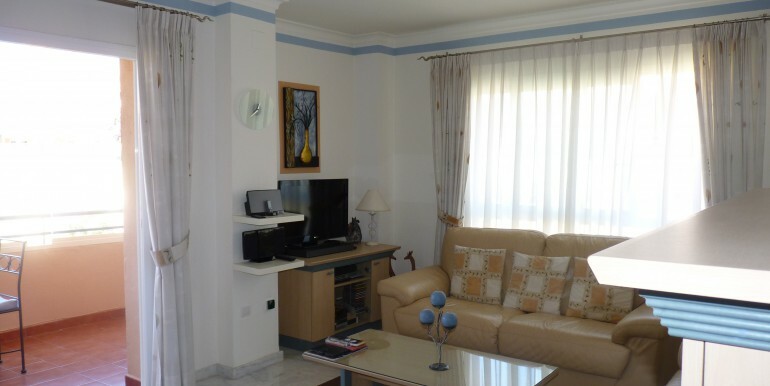 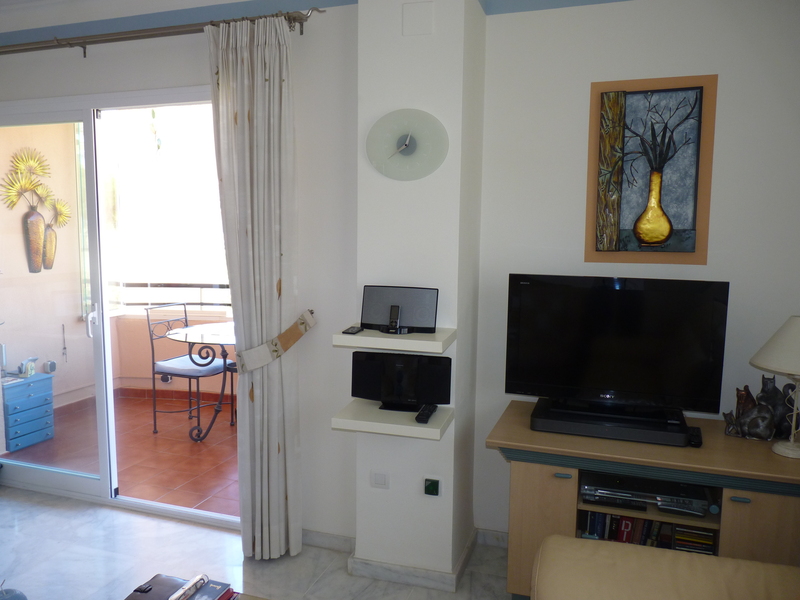 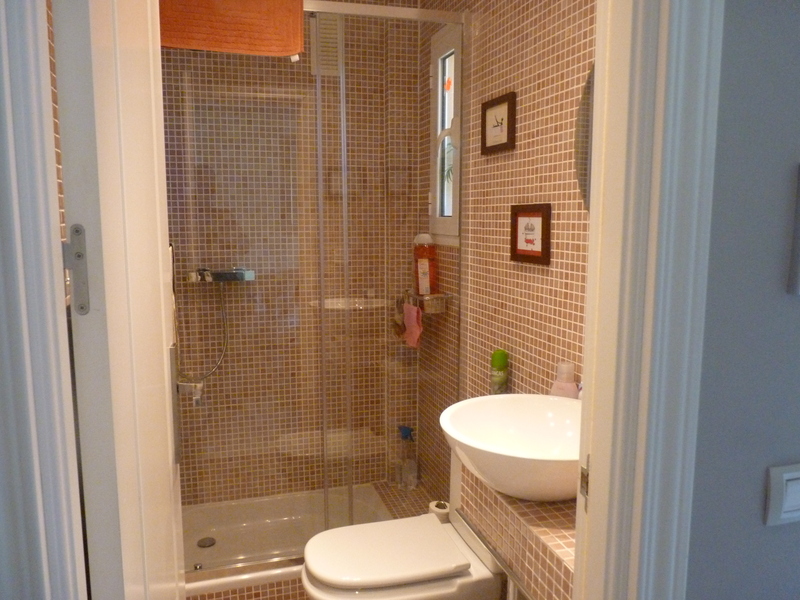 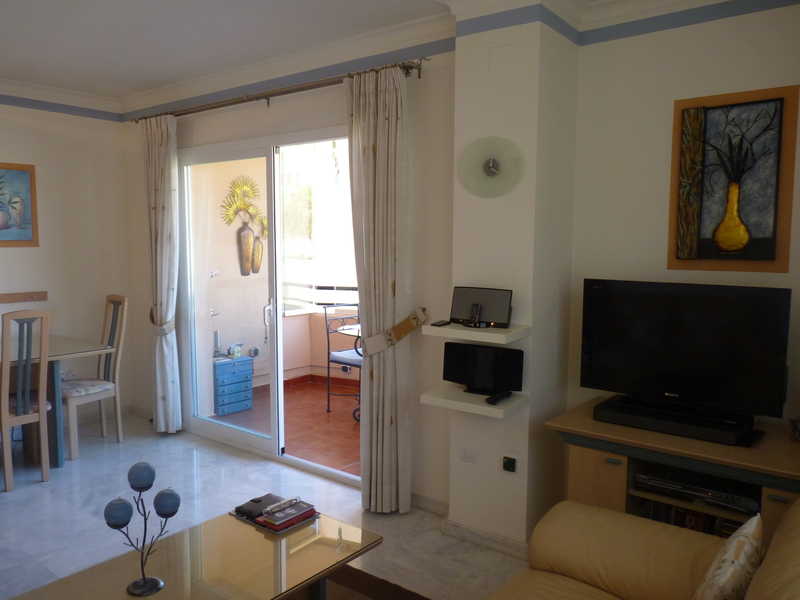 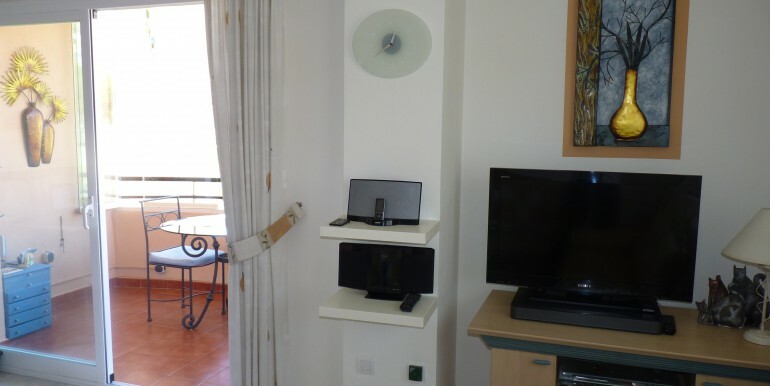 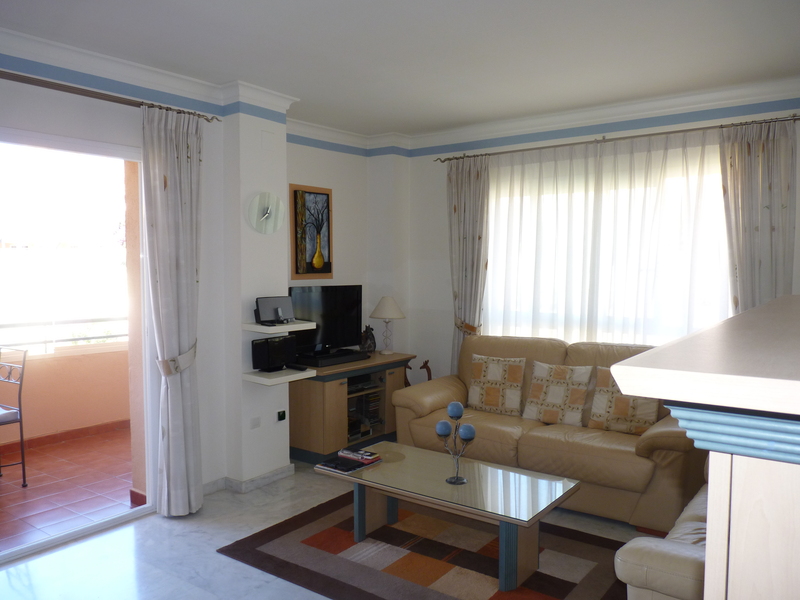 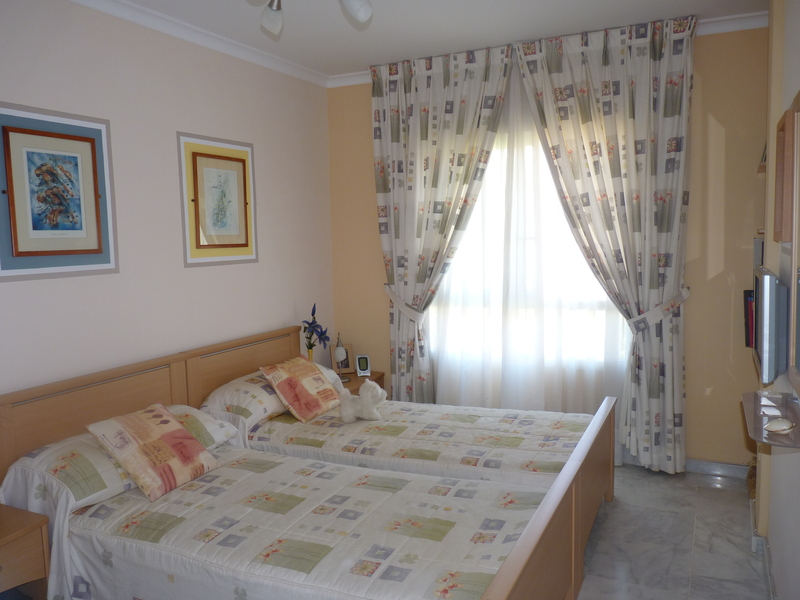 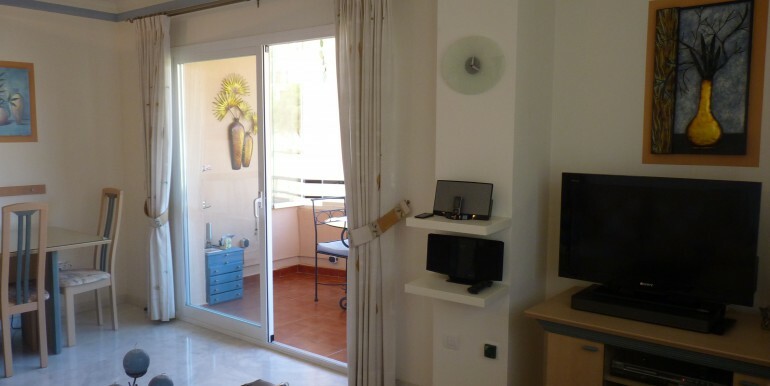 The property comes fully furnished with very tasteful good quality furnishings throughout. 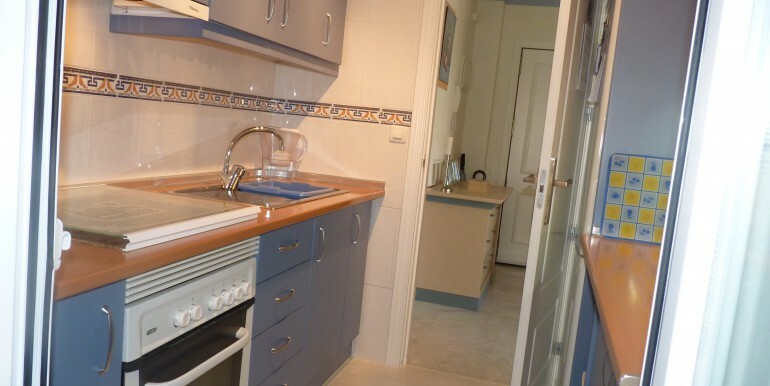 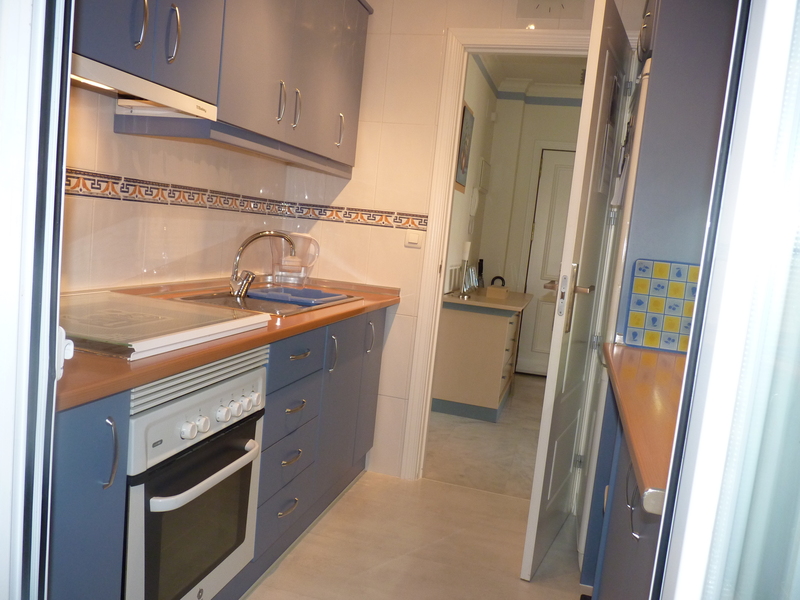 A fully fitted modern kitchen with a separate utility room is also included in the purchase price. 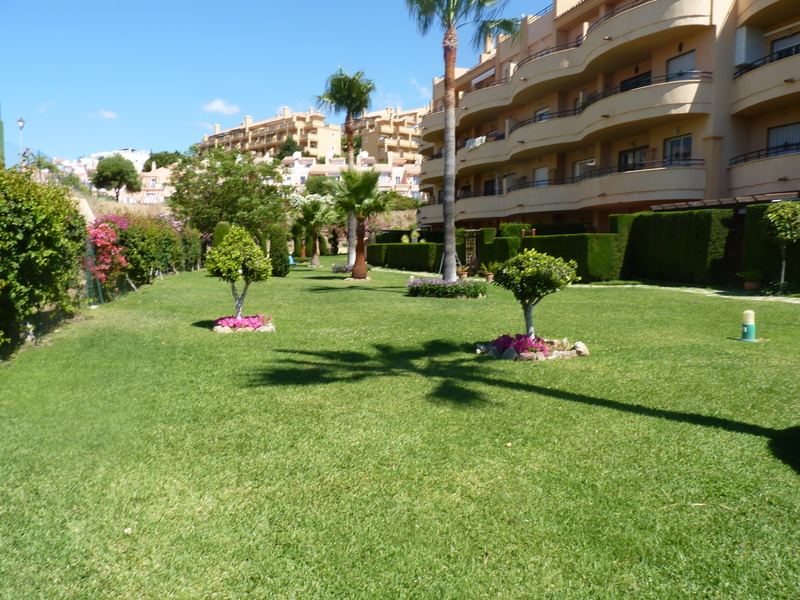 The grounds are kept in beautiful condition and can offer 2 communal swimming pools plus a separate children’s pool. 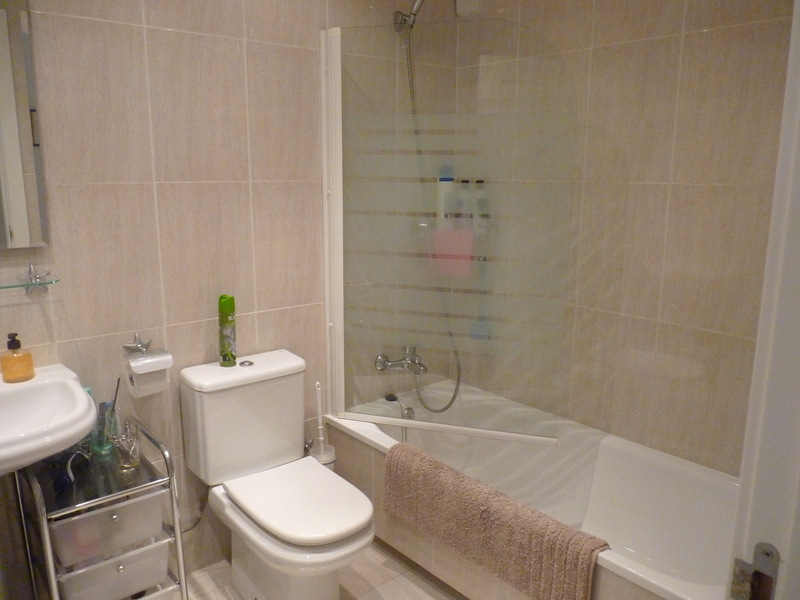 The community fees are one of the lowest in the area and include all water rates. 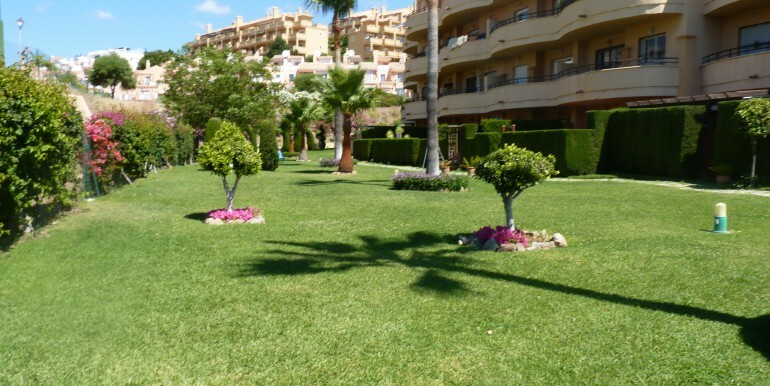 Also included is a private below ground parking space plus external parking for friends and family who will be wanting to come and stay over with you.